I am trying to install Elementary OS on my Macbook Pro 15" early 2013 and the installer freezes on wifi selection system. I can select a Wi-Fi, enter a password or continue without selecting a wifi. The problem starts when i click continue to go to the next step. Nothing happens. 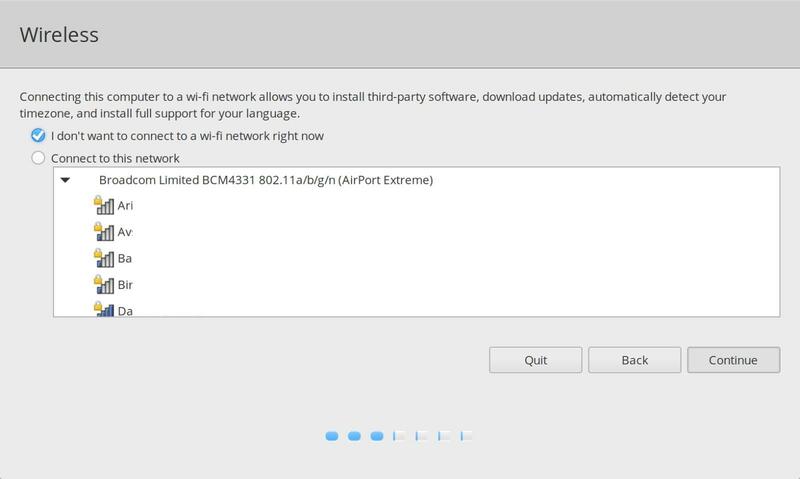 In short, even though it recognizes wifi networks, the installer freezes to continue after wifi selection screen. Browse other questions tagged wifi macbook or ask your own question.